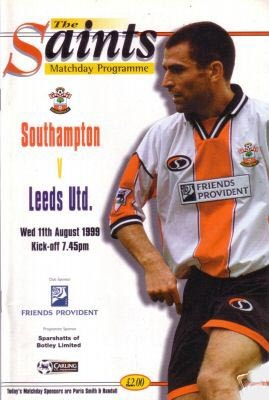 Date: Wednesday, 11th August 1999. Scorers: Southampton: Nil. 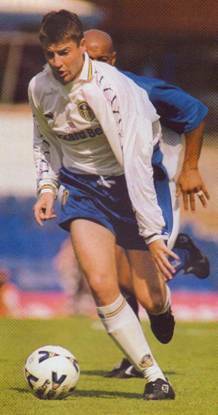 Leeds United: Bridges (3). 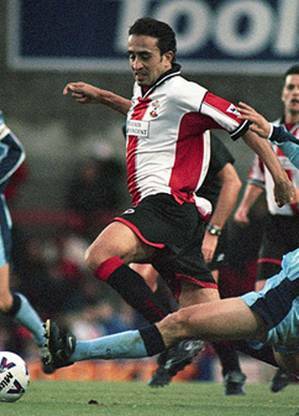 Southampton: Jones; Dodd, Richards, Lundekvam, Benali; Le Tissier, Hughes, Marsden, Kachloul (Ripley); Pahars, Ostenstadt. Referee: Mr A. Willey (Staffordshire). 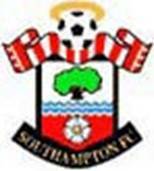 If ever there was a place Leeds United needed to go in a time of crisis then Southampton would be high on the list. The south coast city has proved a happy hunting ground for Leeds in the past and their record of seven victories since 1991 is impressive to say the least. 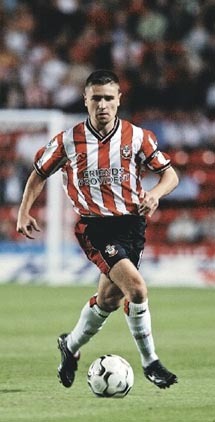 All those wins, bar one, came at The Dell and Southampton's old ground holds many good memories for supporters. It was also a popular place with the players. 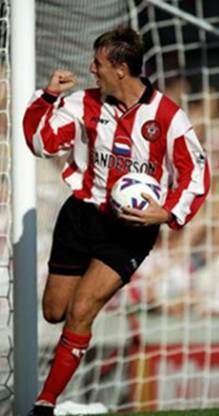 Gary Speed used to score there for fun while Rod Wallace ended United's sixteen-month away drought by netting a delightful goal. 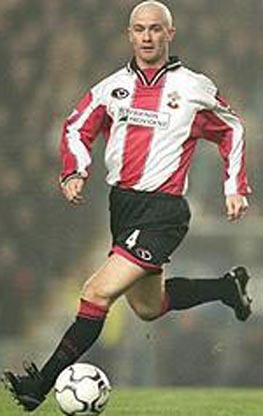 Michael Bridges would be another with fond memories of Southampton and he announced his arrival at United in some style with a scoring spree against the Saints. 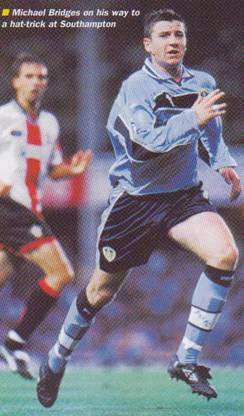 Bridges bagged a hat-trick and had a fourth goal disallowed on a balmy evening in August 1999 when everything was rosy in the United garden and David O'Leary's side were just beginning to look like a force. Bridges appeared to be the final piece in the jigsaw and turned in a devastating display. 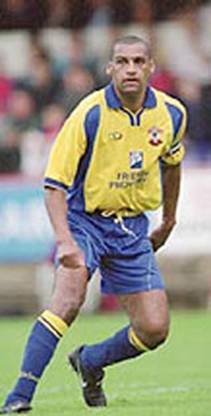 The first goal came after just eleven minutes when Ian Harte shaped to smash a twenty-yard free-kick on the right of the penalty area but instead chipped it for the new boy, Michael Duberry, who headed down into the path of Michael Bridges. 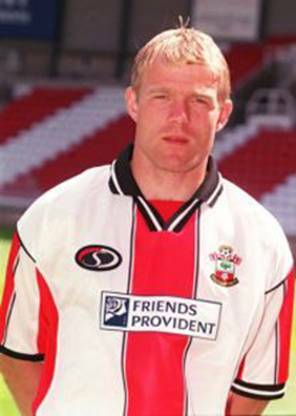 The Centre Forward spotted Paul Jones, the Southampton keeper, off his line and in one movement killed the ball and lobbed it high into the net for his and his team’s first goal of the season. 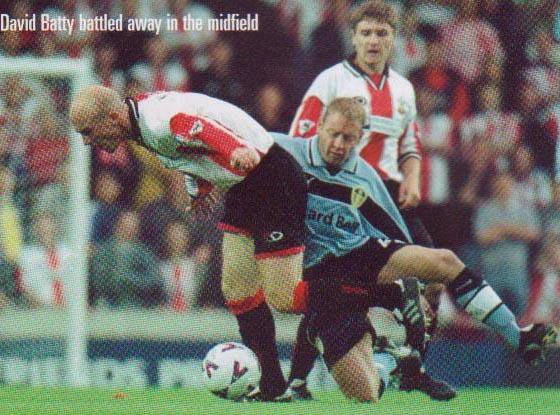 The second goal, six minutes after the break, resulted from a determined forty-yard raid down the right flank by another new boy, Danny Mills, and his cross found Michael Bridges totally unmarked two yards out and the tap-in was a formality. Michel Bridges hat-trick goal came after seventy-one minutes and was a classical header from an Ian Harte corner and was greeted by a crowd of congratulating team-mates. No quarter was asked or given in a fiercely contested, often ill-tempered clash from which United emerged with flying colours. 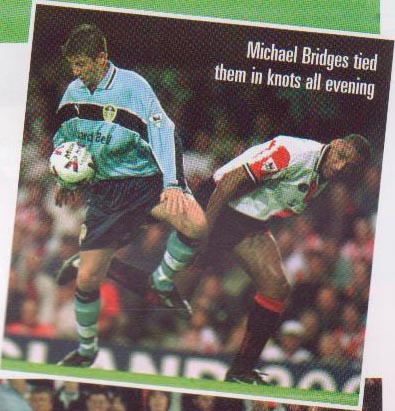 New boys Michael Bridges, Michael Duberry and Danny Mills all made indelible impressions while Lucas Radebe was exemplary and David Batty foraged all night. As a unit United were everywhere, unafraid to chase even lost causes and working hard for each other. The winning margin could have been even greater. 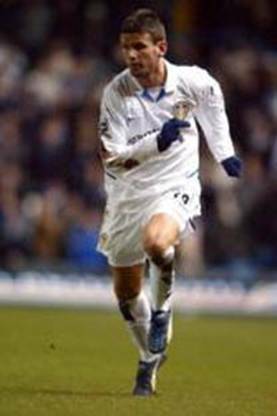 After eighteen minutes Harry Kewell sent over a wicked cross which Lee Bowyer appeared to turn in at the far post, but Paul Jones appeared from nowhere and spooned the ball over the bar for a corner. In injury time Michael Bridges had the ball in the net for the fourth time but it was ruled out for pushing in the build up. 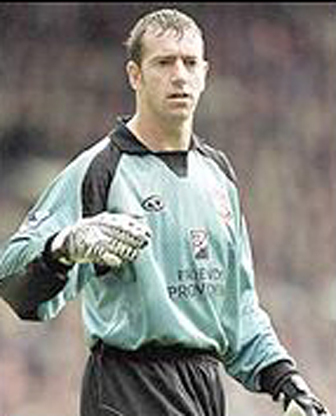 Nigel Martyn was called into action only spasmodically, notably when he saved bravely at the feet of substitute Stuart Ripley and again when a Mark Hughes shot beat him only for David Hopkin to clear off the line. But there was a clean sheet in an emphatic victory. YEP football writer Phil Rostron witnessed United away for the first time and he was well and truly taken by Bridges' performance. 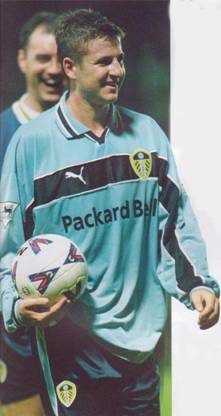 Rostron wrote: "Record buy Michael Bridges came of age for Leeds United last night, just as he had done when celebrating his twenty-first birthday last week, with a majestic hat-trick in a runaway victory at The Dell. 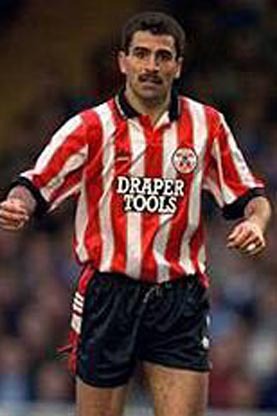 If sheer, undiluted class is what you admire in a striker, then here it was in a league of its own in a solo performance." 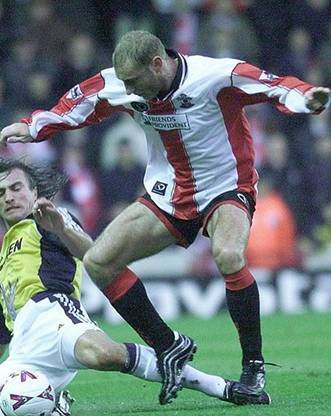 Rostron was equally generous in his praise of a team who simply destroyed the Saints. 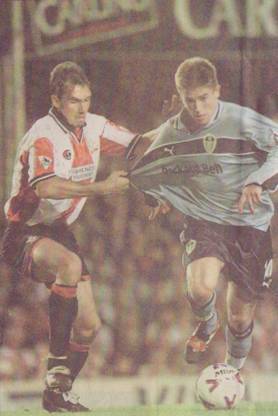 He added: "It was total football from Leeds, who were slick, clinical and possessing the killer instinct which is the trademark of any successful club side. “The quick-fire action up front was complemented by cool control at the back and all-action invention in midfield. 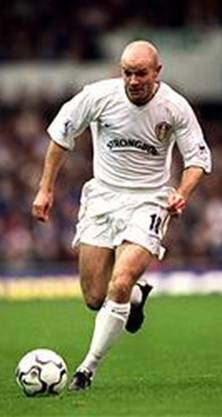 They looked very, very good.” While Rostron waxed lyrical about O'Leary's young side, the Elland Road manager was equally impressed by his team's performance. O'Leary said: "We have had only one bad performance since I was appointed and that was in this corresponding fixture last season. I don't want any of my teams to be out-battled, we were then, and I made that very plain before the kick-off. That will never happen again. We played good football and scored some good goals. I was delighted. I brought Michael Bridges in with the intention that he would develop over the years. He has the potential to develop into a sleeky Dennis Bergkamp in a squad which could eventually be on a par with the great Revie teams. His first goal was quality. The ball was rising to him and it had to be lifted, which was a difficult thing to do. He took it well." The 3-0 victory marked the start of what was a season to remember. United finished third in the Premiership and qualified for the Champions League.